Looks do matter a lot in many current activities, starting with finding a job and ending with finding a person with whom to share our lives. If you have dark spots on your skin, it feels a little awkward when you meet people. Dark spots, also known as brown spots, sun spots, age spots, liver spots, are the results of overexposure to the sun or sun damage of the skin. Ultraviolet radiation can cause oxidation of lipids in cellular membranes, leading to production of free radicals and inflammation, which could promote melanocytes to produce melanin via activation of tyrosinase. The melanin pigment is made to absorb sunlight and help protect your skin from the sun’s UV radiation. However when melanocytes make too much melanin in the epidermis (top layer of the skin), and you will see the development of dark spots. One of the most frequent issue when it comes to skin looks and health is hyperpigmentation, which happens when the dark spots won’t fade normally of their own accord. 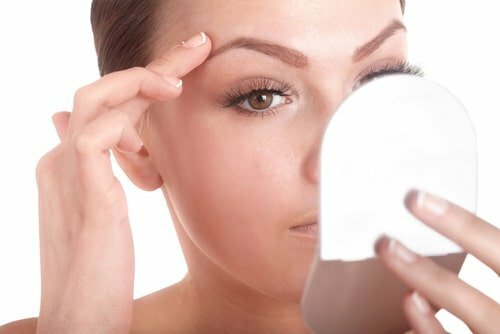 Due to this reason, it is always better to take precautionary measures in preventing dark spots before they start to ruin your healthy good looks. The following are some easy steps you can take to avoid being affected by hyperpigmentation. Long hours of exposure to the sun can trigger the overproduction of melanin (the substance responsible for skin darkening). The longer you stay under the sun without using protection, the darker your skin will become. Excessive exposure to the sun’s rays can increase the chances of developing permanent brown spots. Minimize as much as possible the time spend outside between 10 am and 2 pm when the sun’s rays are the strongest. Protect your skin with hats, sunglasses and high SPF sunscreen when you have to get out in the sun, will help a lot in preventing dark spots from showing up on the face. The sun protection factor (SPF) in sunscreens is a measure of their ability to prevent burns from sun exposure. Choose a sunscreen (also known as sunblock or suntan lotion) with the correct SPF to avoid sunburn and damage. The American Academy of Dermatology recommends that a sunscreen of SPF 30 or higher that says “broad-spectrum” on the label (which means it protects against the sun’s UVA and UVB rays) and is water-resistant. UVA is thought to cause skin aging, while UVB is mostly responsible for sunburn and skin cancers. You should wear sunscreen every day, regardless of the weather or season. Apply it all over your exposed skin about 15 minutes to 30 minutes before going outside. Reapply sunscreen at least every two hours and after you sweat or swim. If you wear foundation, apply sunscreen as well as foundation or buy foundation that has sunscreen in it. Water is the main source of moisture for the skin. Water is also great for your skin because it helps flush away toxins, which translates into a clearer and healthier complexion. Drink at least 8 glasses of water every day, try fitting in an extra glass or two during the summer months and the chances that your skin will get spots and fine lines will be reduced significantly. Believe it or not, you are what you eat. The things you eat have a great impact on the way your skin looks like. Insufficient vitamin in your diet can also contribute in causing dark spots. By eating foods rich in vitamin A, B and C, minerals, fibers, amino-acids and carbohydrates you will not only keep your body healthy, but you will also have a great skin. Specifically, your diet should have green tea (which contains anti-inflammatory chemical called catechins), olive oil (which contains the fatty acids for nourishing skin cells), orange (which is rich in Vitamin C), fiber-rich whole grains, vegetables and apples, and tuna (which has various nutrients including niacin, pyridoxine, magnesium, potassium, essential fatty acids and selenium). When your body is functioning right, your skin will be healthy and glowing too. The skin is the mirror of your body. If something goes wrong inside your body, this will be seen outside too. Some brown spots or hyperpigmentation are caused by internal problems, such as hormonal imbalances. For this reason, you should regularly go for a health check so that you can work your doctor to tackle the room of your problem and prevent any spots or other conditions on your skin and in your body. These four steps should help you in preventing dark spots from appearing on your skin. These are easy things to do which you should include them in your daily routine if you are longing for a long, healthy and happy life. For more ideas in preventing dark spots, try these simple, cheap and safe natural skin whitening recipes from Skin Whitening Forever. From here you will be able to learn how you can use natural ingredients to get rid of dark spots in just a matter of weeks and your skin will be radiant and spotless once again!